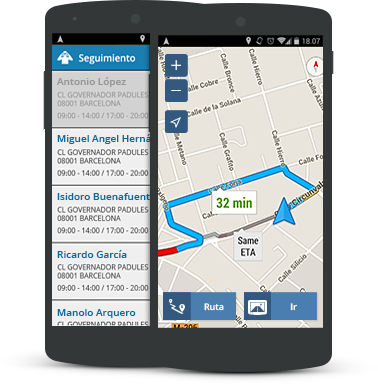 Do you need a solution to plan routes for your company, give a better service to your customers, visit more customers and reduce costs? Without any initial investment you will reduce up to 15% the mileage and delivery time. Arrive on time and attend more customers on the same working day providing an excellent image of your business. 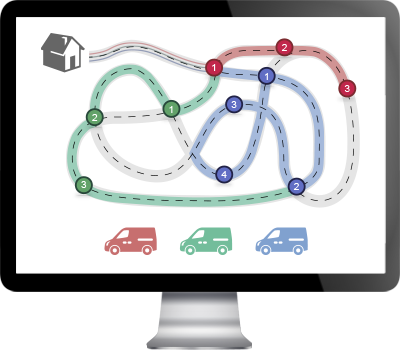 Calculation of daily routes with multiple delivery and collection stops, for all kinds of services and goods. Better route planning with automatic allocation of customers to the vehicles and instant information on route compliance. All the planned visits geolocated in your phone, ready to validate them in situ. Be aware at any time of all the details of your business activity. Track your vehicles at any time and fully optimize your resources.